Welcome to the online home for the Quilting Shanty.. I hope you will find my site interesting and a valuable tool for your visit to the shop. 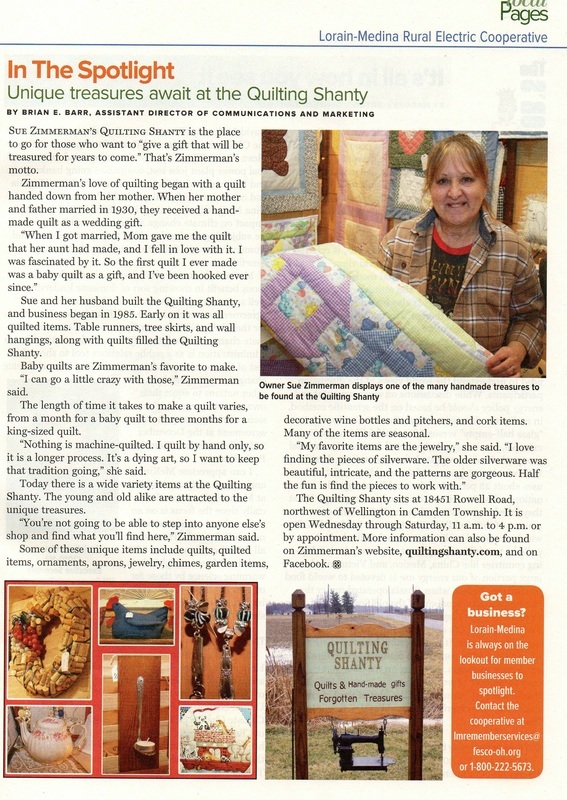 My love for quilts began in 1980, when my mother had given me a quilt her Aunt had made for her, when she married my Dad. That was in 1930. I decided that this is what I wanted to do. My very first quilt I made was a baby quilt for a friend. I bought a book and am self taught. That was a lot of years ago, and many quilt, wall hangings, table runners, and tree skirts later. 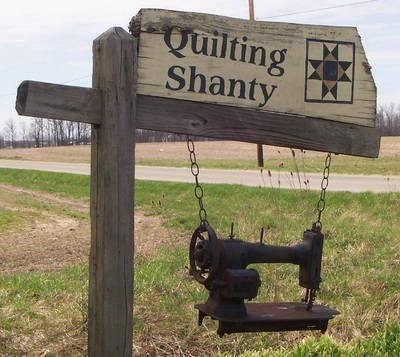 As the years have gone by...I have expanded my interests, and have come up with many different items for the Shanty. All items I sell are home made. You will find Jewelry and wind chimes all made from re-purposed flatware and kitchen items. Flatware candle holders, vases, tooth pick holders, hooks, and many other unique items, that are one of a kind! 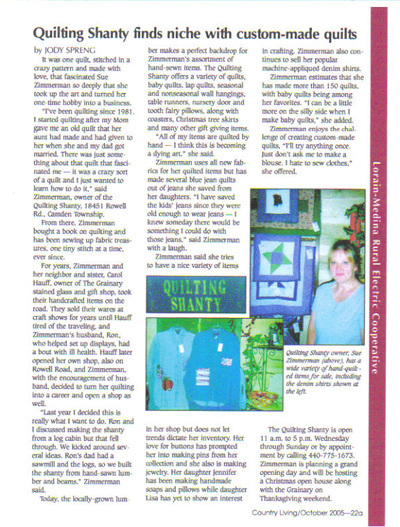 And the quilted items are all quilted by hand. 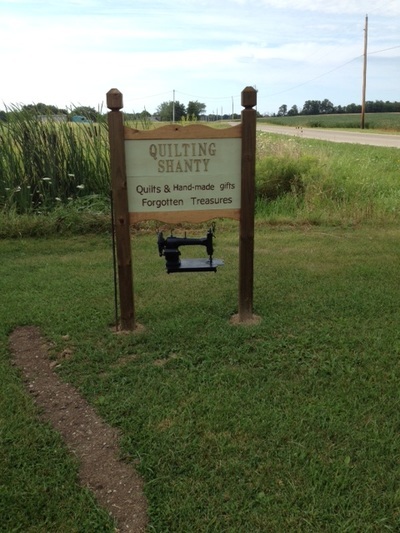 I feel that hand quilting is a dying art. There is nothing quilted by machine in my shop! My Motto: Give a gift that will be treasured for years to come!